Greetings from the Joe Andruzzi Foundation! March has flown by for us here at the Joe Andruzzi Foundation! We are just weeks away from the Boston Marathon® and our Team JAF runners have been physically and mentally preparing as they get ready to cross that finish line on Monday, April 21st. We are proud to say our Team JAF Boston Marathon® runners have raised more than $300,000 – more than double the amount we raised when we last checked in with you in February! Every individual runner on Team JAF plays a pivotal role in our team and each and every one of them is viewed as a member of our JAF family. Through lots of laughs (and tears! 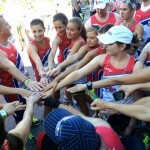 ), each member of Team JAF has been training relentlessly (no easy task given our endless winter!) and has been dedicated to fundraising on behalf of the Foundation. We are extremely excited to watch everyone cross the finish line in a few weeks, and with that, let’s take a minute to see what JAF has been up to in March (and what’s on tap for April). Our Team JAF runners have not only been dedicated to their weekly runs (even in those freezing temps! ), but have been incredibly dedicated to fundraising on behalf of the Joe Andruzzi Foundation and the 2014 Boston Marathon®. As we mentioned above, these fearless athletes, have raised over $300,000 for JAF thanks to so many of you! And there is still time to support our team! Donations can be made through the Foundation’s Crowdrise page, and you can also track our runners throughout their Marathon training process via the Foundation’s Twitter and Facebook accounts, the Foundation’s blog, and the #TeamJAF hashtag. The only cramps our Team JAF Boston Marathon® runners will feel on Thursday, April 17 will be from laughing too hard! 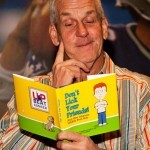 Funnyman Lenny Clarke and a cast of New England’s best comics are set to host an “(Up)Beat Comedy Night” fundraiser in Walpole on behalf of the Foundation. All proceeds raised through the event – hosted at Raffael’s (1601 Main Street, Walpole, MA), which has been generously donated by co-owner Joe Bartucca for the night – will support Team JAF. The night of comedy will also spread the Foundation’s (UP)Beat philosophy, which stresses the importance of a positive attitude in the face of adversity. Tickets are $50 and may be purchased online for the event, which will kick-off with a cocktail reception at 6:30 p.m. before the 8:00 p.m. comedy show. 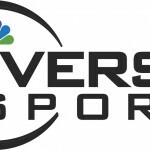 In support and preparation for next month’s 2014 Boston Marathon®, Universal Sports Network put together a collection of vignettes as part of its “Run as One” series. These short-form videos tell the personal stories of those directly affected by the tragic events of the 2013 Boston bombings, as told by survivors, first responders, medical personnel and race officials. The moving, first-hand accounts demonstrate strength of character and the triumph of the human spirit, and Joe and Jen were happy to share their thoughts on the resiliency of Team JAF and the City of Boston. Watch the video here. Each year, Friends of St. Patrick of Walpole – a group of local citizens focused on capturing spirit and goodwill – honor area charitable organizations, and Jen and Joe were flattered to receive its Person(s) of the Year award. We want to extend a huge thank you to everyone who made the day so special, and all the great people we met at the parade and luncheon. 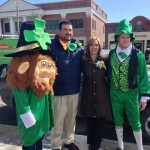 Check out the Walpole Hometown Weekly for a recap of the event.